“After reviewing all the footage and audio that Michael Lindsay-Hogg shot 18 months before they broke up, it’s simply an amazing historical treasure-trove. Sure, there's moments of drama, but none of the discord this project has long been associated with. Jackson will team up once again with producer Clare Olssen and editor Jabez Olssen who he previously worked with on World War One film They Shall Not Grow Old. 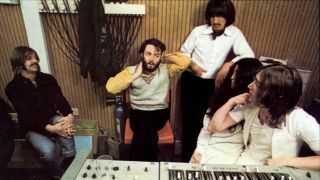 The film is currently in production as is being created with the full co-operation of Paul McCartney, Ringo Starr, Yoko Ono Lennon and Olivia Harrison. A release date will be announced in due course.